Ready to Splash INTO SUMMER!!!! Your new home offers a Swimming Pool, Covered Back Patio, that are BOTH ready for you to relax with everyone you know or be available for those quiet morning, lunch, or evening lap grinds. But folks it doesn't stop there, the remodeled kitchen with stainless steel appliances, granite counters, and eating room will have you smiling from ear to ear!!! As you walk down the hallway and through the dining room, you notice the new tile that just lets you know your home has is a custom home!!! The oversized living with soaring ceilings always lets your enjoy relaxing by the fire every night. As it comes time to get ready for bed your Master Spa is always there (LOOK at the PICS) the HUGE whirlpool style pool lets your relax, relax, relax before rising off in your walk in shower and calling it a night. 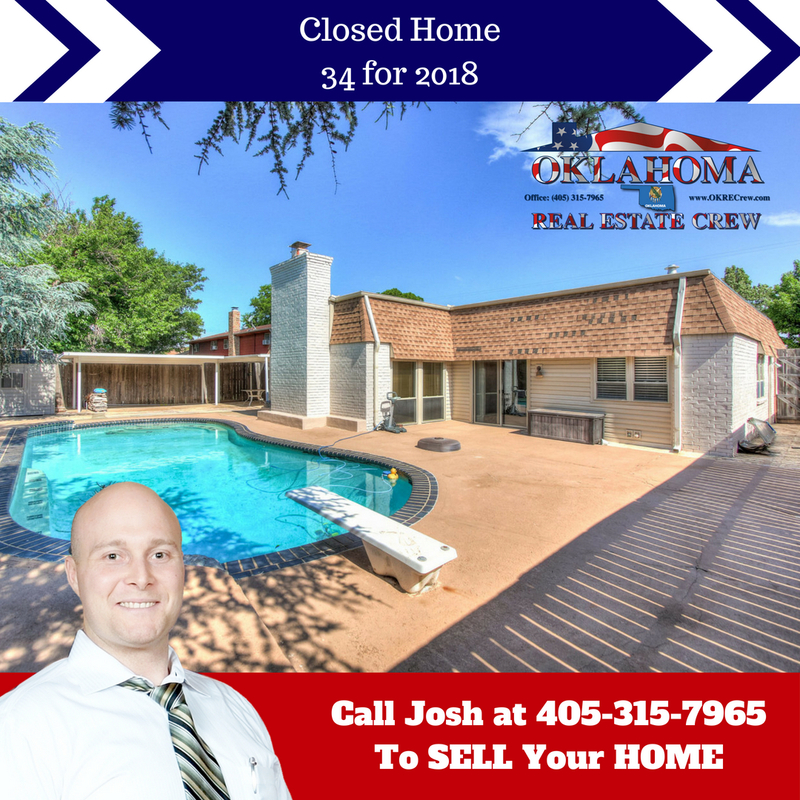 If you are looking for the perfect home in Oklahoma City with a Pool that has been remodeled and isn't going to break the bank, this is the ONE!! !